JW Marriott’s takeover of the now-rebranded South Beach Hotel involved opening nine food-and-beverage locales within and surrounding the luxury hotel. Court Martial Bar is one of said outlets, situated within an old court house building. The cocktail and wine bar brands itself as a casual joint that serves fresh takes on classic cocktails, with timeless snacks in tow. 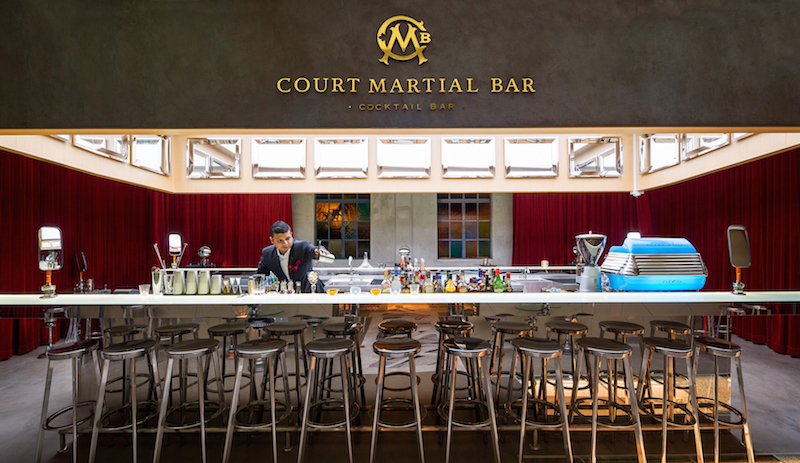 Here’s what we thought of the newly revamped Court Martial Bar. Going to court never looked better. Hotel bars get a pretty crummy rep for being either too pared down, or overtly staid. Court Martial feels totally removed from either stereotype. 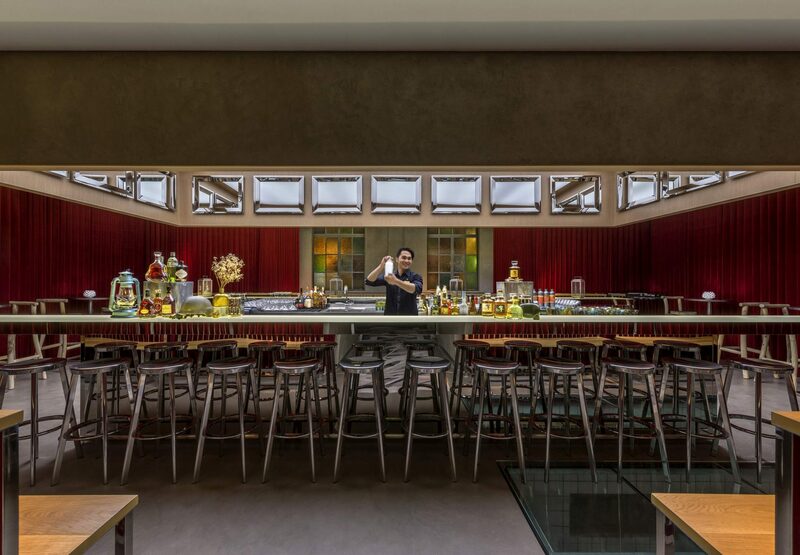 While it could be due to how the bar is removed from the main hotel building, we’d give a little more credit to the moody, industrial décor that feels typical of any watering hole you’d find along Singapore’s swankier drinking districts. The floor-to-ceiling windows were an inviting touch, barring any stuffiness from the room. 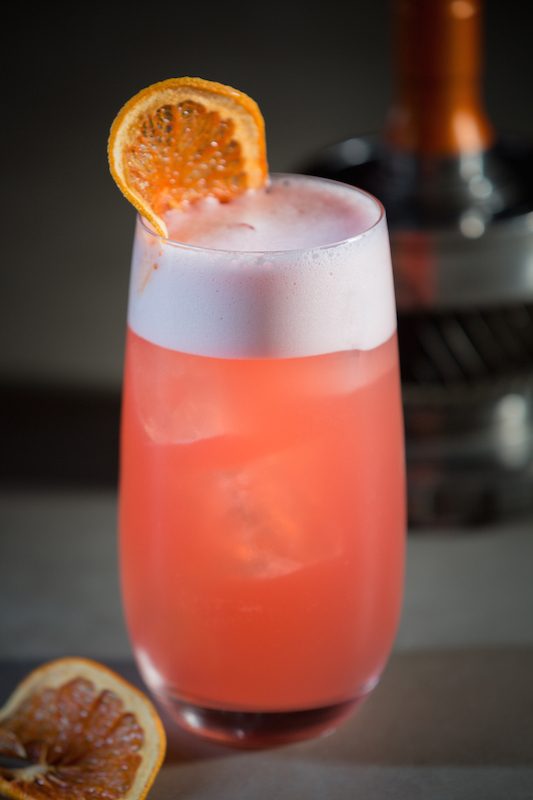 Re-working classic cocktails isn’t a novel concept, but they are signature to the menu. Most of their adaptations involve spirit switches, like tequila in their Bloody Maria or Havana Club 7-Year rum instead of vodka in their chocolate martini, elevated by the bartender’s personal touches. You’d find ingredients like gula melaka in their caipirinha or Ovaltine in a martini, appealing to those who enjoy remixed cocktails with a local flair. A definite favourite was their margarita. Citrusy and sweet were delightfully balanced, enhanced by homemade vanilla syrup, and the black salt rim added a smokiness we never knew the margarita needed. The one downside to the menu was the Heritage Sling, which mixed Tiger beer with the national cocktail. Instead of being crisp and refreshing, it tasted more like extra-bitter cough syrup, and we could taste none of the tropical pineapple and lime juice added. You get Asian-inspired bar fare in tasting portions. 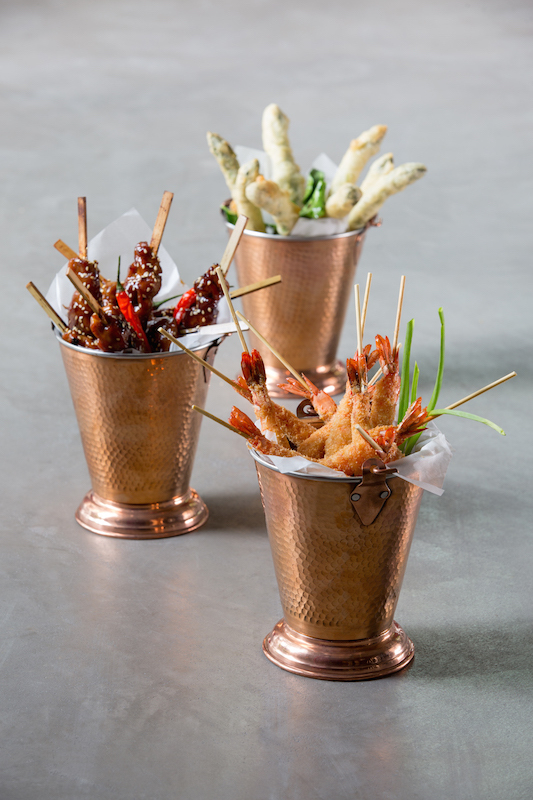 Think truffle fries, tempura prawns, popped corn, skewers and the like. Two highlights were the much-anticipated salted egg yolk calamari (sorry, we’re still suckers for the food trend), and the teriyaki chicken skewers. A rich, generous portion of thickly-cut calamari rings slathered in salted egg yolk sauce before deep fried in a light batter got us inhaling the snack and silently cussing calories, while the latter a familiar dish of tender, sweet chunk of grilled marinated chicken. The only downside: having to wait nearly half an hour intervals between each order. Here’s hoping service runs smoother soon. If you’re looking somewhere to hang out after work, or go for a casual date with little frills, Court Martial Bar is a convenient location to while away an evening.